Donna Wilson homewares - where whimsy meets quirky and cute! 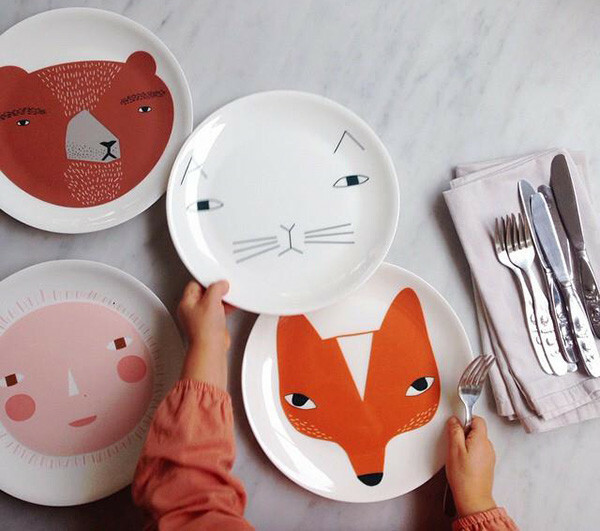 Donna Wilson homewares – where whimsy meets quirky and cute! Hazard of the Babyology writer job is that you’re exposed to many fantastic products. Most of which you instantly fall in love with and convince yourself that you need. Such is the case with the fabulous homewares from Donna Wilson. My heart doesn’t know what it wants more, the Bear plate or one of the stunning cushions, but one thing i know for sure, is that I (ahem) need them all. Donna Wilson is a UK artisan that blends whimsy with quirky for a homewares range like no other. It’s everywhere you look, from her amazing ceramics range to her woolly cushions – and it’s all cute, no matter your age. The ceramics virtual aisle is the perfect spot to find a gift for a young bub, first birthday or christening, if you’re looking for something special and unique you can rest assured you’ll reach ‘best gift giver’ status with a Donna Wilson ceramic piece. The Bear Plate (£22) has my heart, sure he looks grumpy but we know he really isn’t. Paired with the Bear Bowl (£30) and Bear Beaker (£15.50), it’s a set sure to make meal times a delight for many years to come. For a dose of Donna Wilson whimsy in the nursery, add one of her lambswool and duck feather insert animal cushions (£15.50) or a beauty from the cotton collection, to your nursing chair or play nook for a pop of fun and colour, But be warned, choices are plentiful. Head on over to Donna Wilson to admire all of her creativeness, might I suggest a cup of tea, you could be a while!